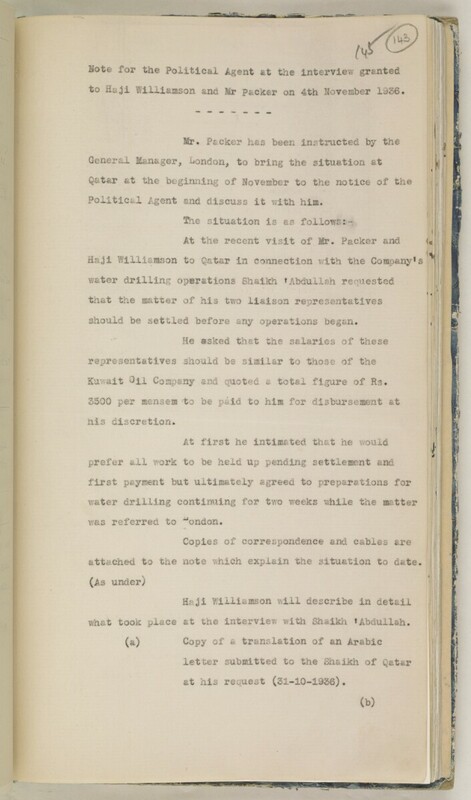 to Haji Williamson and Mr packer on 4th November 1956. Political Agent A mid-ranking political representative (equivalent to a Consul) from the diplomatic corps of the Government of India or one of its subordinate provincial governments, in charge of a Political Agency. and discuss it with hi®. should be settled before any operations began. Kuwait Oti Company and quoted a total figure of Rs. attached to the note which explain the situation to date.